Last week we had 10 packages uploaded & fixed, the current week resulted in 15 fixed packages. So there are currently 25 packages fixed by 20 different uploaders. I really hope i can meet you all at DebConf15!! The list of the fixed and updated packages is availabe here. I will try to update this ~daily. If I missed one of your uploads, please drop me a line. A big "Thank You" to you. 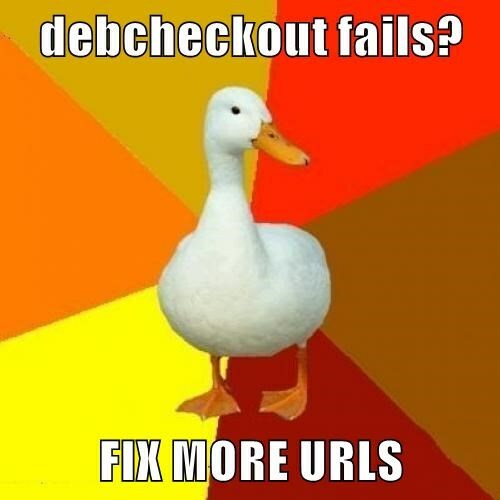 There is still lots of time till the end of DebConf15 and the end of the DUCK Challenge, so please get involved.